Vibrant spaces help define a city’s unique sense of place. Inside and out, they’re well-designed and alive with activity, embracing new ideas to create one-of-a-kind experiences, products, and services. Put simply, they’re the places you can't wait to tell your friends about. During Phase I of the Vibrant Spaces℠ program, demand for the smallest available storefront was extremely high. Thus, the next branch of the Vibrant Spaces℠ program was born: Selden Market, a retail incubator offering burgeoning business concepts an opportunity to develop and test new ideas in a supportive environment. Featuring a rotating lineup of the city’s up-and-coming concepts in retail, food, and more in the historic Selden Arcade, every visit is a different experience. 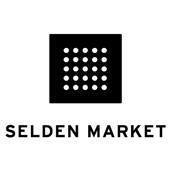 Follow Selden Market on Facebook for more information on the shops, pop-ups and upcoming events. Downtown Norfolk Council continues the Vibrant Spaces℠ initiative by awarding matching grants to the ideas that create the most new vibrancy downtown. Selected applicants are awarded up to 50% of their project costs (up to $10,000 per business). For more information or to apply for the Vibrancy Grant program, please visit the Vibrant Spaces℠ website. Phase I of the Vibrant Spaces℠ program was an initiative by the Downtown Norfolk Council, in collaboration with digital agency Grow, that offered business owners the chance to jump-start their street-level businesses in Downtown Norfolk with $20,000 and half off rent for two years. The strongest applicants were well-designed, embraced new ideas, and created one-of-a-kind experiences, products, and services. In December 2015, the first signed leases and matching grant selections were selected. For more information about this program and the selected businesses, please visit the Vibrant Spaces℠ website.